Asbestos Specialists team of highly qualified professional training advisers provide you with experience and proven expertise to enable you comply with all your statutory legal duties dealing with the Control of Asbestos Regulations. Our training advisers respond promptly to customer enquiries always advising them on the best course of action to meet their needs. Our ability to work and satisfy our customer's requirements at short notice and within a predetermined budget has been the corner stone of our rapid growth to become market leaders in the provision of asbestos related training. ‘’...We know training, so you’ll know asbestos....’ we take asbestos training seriously, that is why we heavily invested in ensuring that our courses undergo the most stringent audit and compliance checks. Our online course is fully accredited by RoSPA and ACCREDITAT. 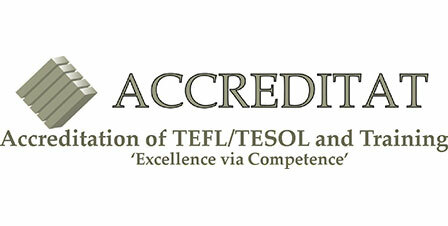 Our category B training is also approved by UKATA. We want to ensure that when you are trained by The Asbestos Specialists you will be assured of the best training standards and service in the UK. Rapid growth and our ability! The roots of the company were firmly laid in 2001, and with rapid growth and an outstanding ability to meet clients demands we quickly became the UK’s premier asbestos training provider. The UKasl philosophy is simple..... ‘Find out what the client really needs and provide a tailored solution that is effective and clear’. We refuse to blind you with science, legislation or fear. We will provide you with a bespoke tailor made service enabling us to build a customer relationship that lasts. We are independent, impartial and always showing professional integrity in all circumstances, one of the key parts of our commitment to the client and our aim to sustain our position as UK leaders in all areas of asbestos related training. The latest mobile internet technology will allow you or your employees to access the course at home, office or even on the move using 3G, HSDPA, 4G and wifi technology. Excellent businesses don't believe in excellence - only in constant improvement and constant change....see what our customers say about our courses, tutors and the services we provide by clicking the button below. The UKasl app is now available for iPhone, iPad and Android devices. 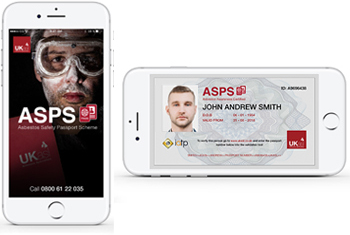 The ASPS app is now available for iPhone and Android devices. If you're looking for asbestos related training, whether its asbestos awareness courses or asbestos removal training or anything to assist you to comply with your legal duties on asbestos, rest assured The Asbestos Specialists can help you.